Shanga by Elewana Collection has been selected as one of 3 finalists for the ‘Investing in People’ Tourism for Tomorrow Awards from the World Travel & Tourism Council. 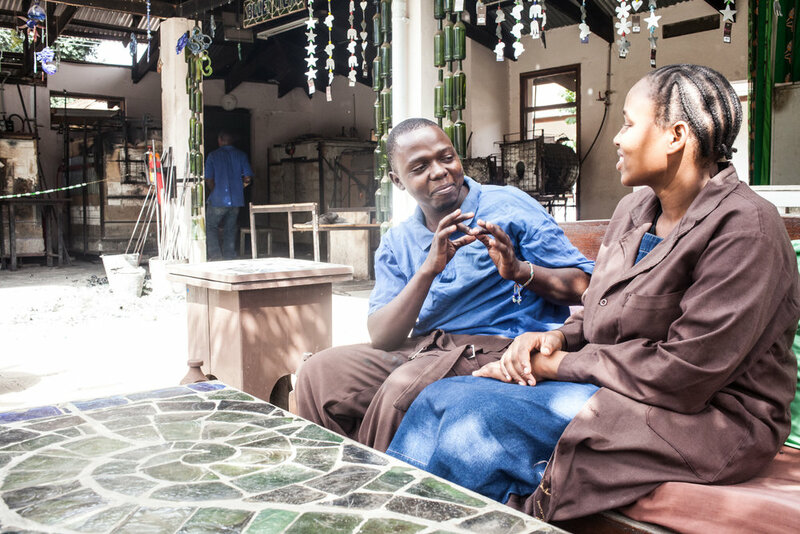 Shanga is a social enterprise based in Arusha Tanzania that trains and employs people with disabilities to produce high quality handmade craft items - glass blowing, beading and other activities, the interactive workshop is located on the grounds of Elewana Arusha Coffee lodge. The World Travel and Tourism Council (WTTC) announced the 15 finalists for its 2019 Tourism for Tomorrow Awards on the 15th January 2019. The finalists are organised into the following new categories: Climate Action, Investing in People, Destination Stewardship, Social Impact and Changemakers. The WTTC Tourism for Tomorrow Awards, now in their fifteenth year, showcase business practices of the highest standards that balance the needs of ‘people, planet and profits’ within the Travel & Tourism sector. All 15 finalists illustrate a strong commitment to supporting change, transformation in business practices and consumer behaviour towards a more environmentally conscious sector. Following a rigorous three-phase judging process, which includes an onsite evaluation, winners of the 2019 Tourism for Tomorrow Awards will be announced during the awards ceremony at the 19th WTTC Global Summit in Seville, Spain from 2 – 4 April 2019. The winner of each category will be determined by the WTTC Tourism for Tomorrow Awards 2019 Winners’ Selection Committee, chaired by Fiona Jeffery OBE, Tourism for Tomorrow Awards Chair and Founder & Chairman, Just a Drop. To find out more about the finalists, go to the 2019 Tourism for Tomorrow Finalists page. Evans is a storyteller and driving force behind “My Africa”. He approached Shanga to consider being included on his social media platform. He found out about Shanga while researching places of interest based in Arusha that fit the brief for his short documentaries. My Africa's platform is to highlight positive and inspiring stories behind organisations across Africa. We can all agree Shanga is such a place. The resulting video highlights Shanga’s history, our focus on ability over disability, some members of the Shanga family and their achievements. The beautiful presentation demonstrates Evans artistic talents while illustrating the Shanga Story including part of our mission which is to spread kindness to everyone. Our sincere thanks to him and his team for thinking of us and including us in his series. Introducing Our Newest Member Of Staff! We are very excited to announce the newest member of our staff, Amber Derocher. Amber’s position is Design and Sales Manager. She is creative, hardworking, enthusiastic, an excellent team player, and very social; perfect qualities for this position! Her role is to review and update the current Shanga shop, workshop, and product designs, and to generally oversee Shanga sales. Amber was born in the United States, where she lived for three years prior to moving abroad. Her growing up years were spent in France, the Democratic Republic of Congo, Lesotho, and Kenya. Growing up was quite an adventure for her! She attended and graduated high school in Nairobi, Kenya, and later joined Hope College in Michigan, USA. After receiving her Bachelor’s Degree, she then returned to Kenya where she taught at Rosslyn Academy. The following years were spent volunteering and working in various capacities in the United States, Thailand, and Tanzania. Throughout her travels, she spent time appreciating and participating in various forms of creative expression around the world. During a previous visit to Arusha, Amber heard about Shanga through Sarah Rejman, the director and founder of Plaster House. One day, Sarah told her “I think you have just the right kind of magic for Shanga”. Prior to her conversation with Sarah, Amber knew nothing about Shanga, and therefore immediately planned a visit to Shanga for a tour from our guides. Upon her arrival to Shanga, and after meeting all of the beautiful people and seeing their creative expression, she thought, “I have to work here”, and here she is today, our very own designer! Her goal is to learn more about Shanga and what it means to have a disability in the context of Shanga, and in the greater Tanzanian community. She hopes all the new things she learns will further inspire a creative, understanding, inviting, and beautiful place to work and to visit. She is also eager to work together with the talented Shanga staff to create unique, appealing products that further share the Shanga story. She is currently learning Swahili and Sign Language to help her to communicate better with everyone at Shanga. · Amber loves to write. · Amber loves all forms of creative expression. · Amber’s favourite type of design is interior design. In the last week, she redesigned her office, which now looks welcoming and well organized! · Amber’s passion for designing began when she was little, as she was very imaginative and creative. Her love for artistic expression further grew when she took a drawing class during her first semester of university. · Amber loves that Shanga is an organisation that understands the importance of providing employment opportunities for people with disabilities, through creative expression. If you’d like to get in touch with Amber, feel free to contact her at design@shanga.org. We hope everyone will enjoy working with her as much as we do. 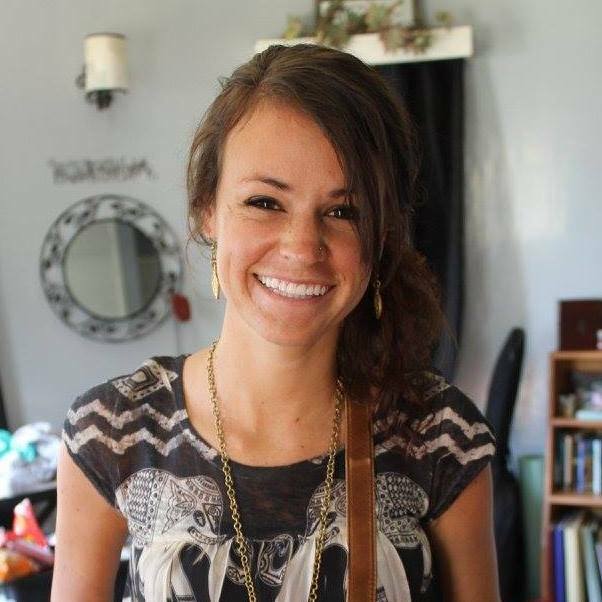 As kindred spirits, we warmly welcome Amber to Shanga and can’t wait to see her contributions to the team come to life! Karibu sana! 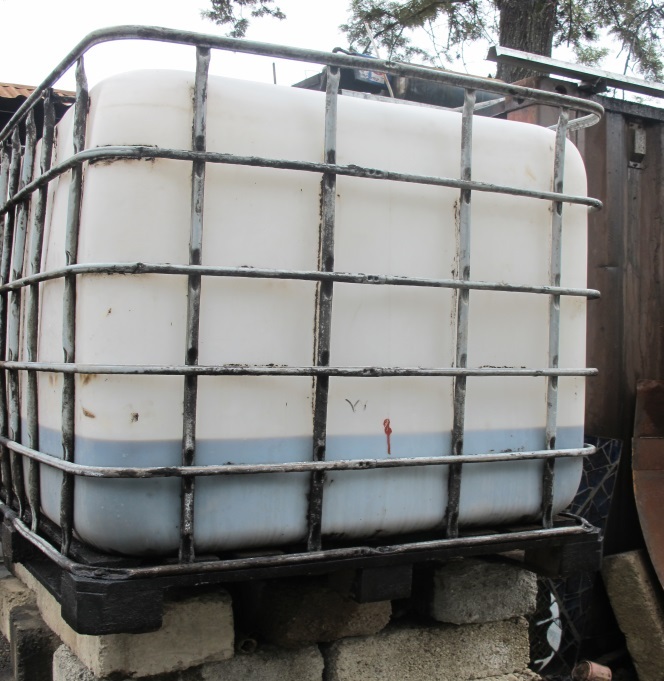 We love recycling at Shanga, not only do we recycle materials that are transformed into hundreds of amazing products but we also recycle Sun flower Seed Oil as the energy source. 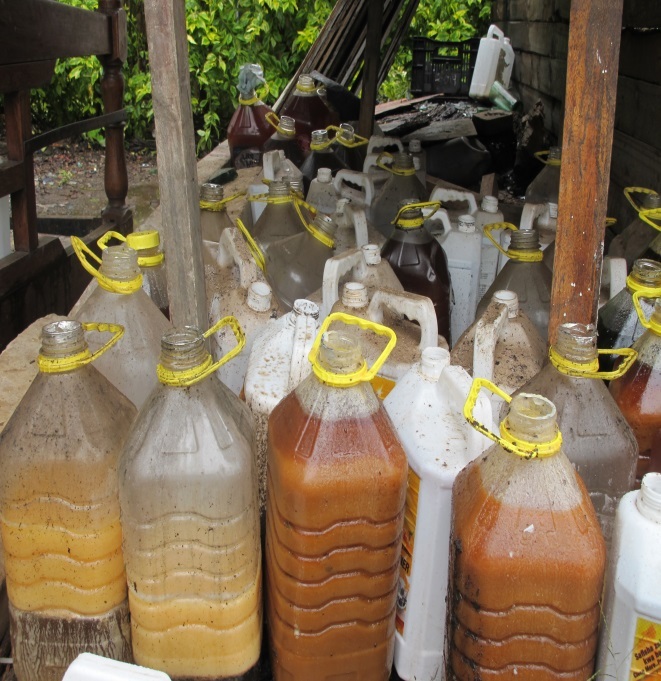 We receive oil from Elewana properties as a by-product from their kitchen as well as other suppliers. For four years Shanga has been using Sunflower seed oil for energizing a glass furnace and the medium size Glory-hole. The glass furnace produces a wide variety of glass ware such as drinking glasses, bowls, jugs, carafes and house decorations. We may be the only people in the world who are using Sunflower Seed Oil in glass melting for art glass. Sunflower seed oil is a domestic product in Tanzania. The regions in the country’s central zone are a major producer, accounting for over 20 per cent of national production. The planting and extracting cycle provides thousands of jobs. Sun Flower Seed oil is renewable in a sustainable manner, converting the energy of daily solar radiation to chemical energy through a biological vector in large sunflower plantations. The sun flower seed oil has zero carbon footprint, meaning in the plantations the carbon dioxide from ambient air is sequestered into a hydrocarbon compound, which converted into a liquid form is used to energize our furnace in an exothermic reaction together with ambient oxygen. The carbon dioxide thus released is then sequestered back into the seeds in sunflowers.From flowers to flowers in a manner; through solar power as the driving force. Think of the vast fields of sunflower as huge biologically functioning solar energy converter. Go green with Shanga by donating used cooking oil and we recycle it to produce glass ware from our glass furnaces! As a social enterprise ourselves, we at Shanga understand the importance of sharing skills and resources with other local community projects when we can. This month we were able to help out a local children's non-profit - The Learning Space - with a special arts project! The Learning Space is a non-profit early childhood centre in Arusha that brings together children from different backgrounds to provide childcare and learning in a safe and stimulating environment. 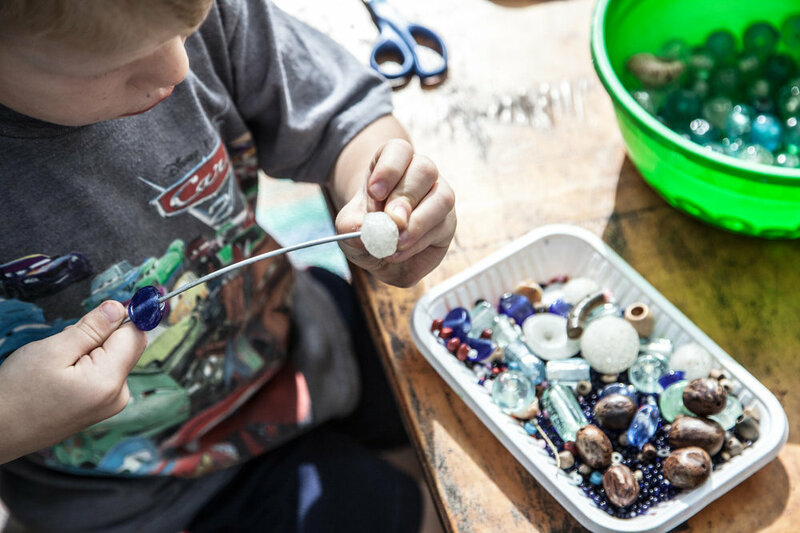 Earlier this month Learning Space Director Tara Finlay approached Shanga with an art project idea that could utilise Shanga's recycled glass beads. 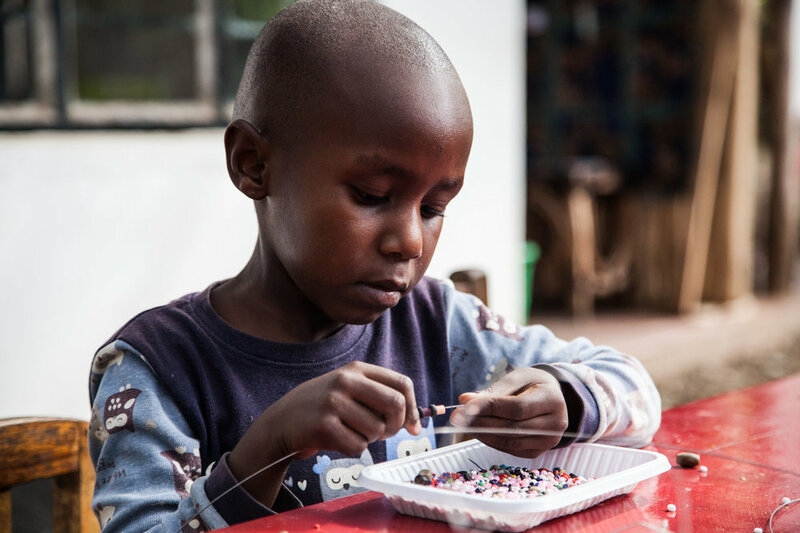 We happily donated hundreds of our Shanga beads for the project and have been so thrilled to see the joyful photographs of the Learning Space children using the beads to create a unique tree sculpture in their playground garden. Well done on a beautiful project Tara, and thank you for thinking of Shanga and utilising our recycled products! This March we’re celebrating Swahili style! Kanga originated on the coast of East Africa in the mid-19th century. As the story goes, some stylish ladies in Zanzibar got the idea of buying printed kerchiefs from the bolt of cotton cloth sewed them back together to form very individualistic designs. The early designs had a border and a pattern of white spots on a dark background and became known as "kanga", named after the noisy, sociable guinea-fowl with its elegant spotty plumage. Kanga is a traditional gift in Tanzanian culture. It can be worn by both men and women, used as picnic cloth, tablecloths, seat covers or sewn to make different clothes. Apart from its protective and decorative role, kanga is all about sending a message – giving kanga is the equivalent of gift cards in western culture. Kikoi is a traditional hand-woven cloth that was worn by Arab traders who cane to East Africa. Over the years Kenyan fisherman and the East Africans integrated the Kikoi fabric as part of their traditional dress because of its comfortable nature in tropical climates. Kikoi is worn by men, women and children. So versatile, it can be used as beach towels, beach wraps, picnic blankets, scarves, shawls, table cloths, curtains, baby wraps or sewn to make clothes andbags. The Maasai are a semi-nomadic people from East Africa who are known for their unique way of life, as well as their cultural traditions and customs. 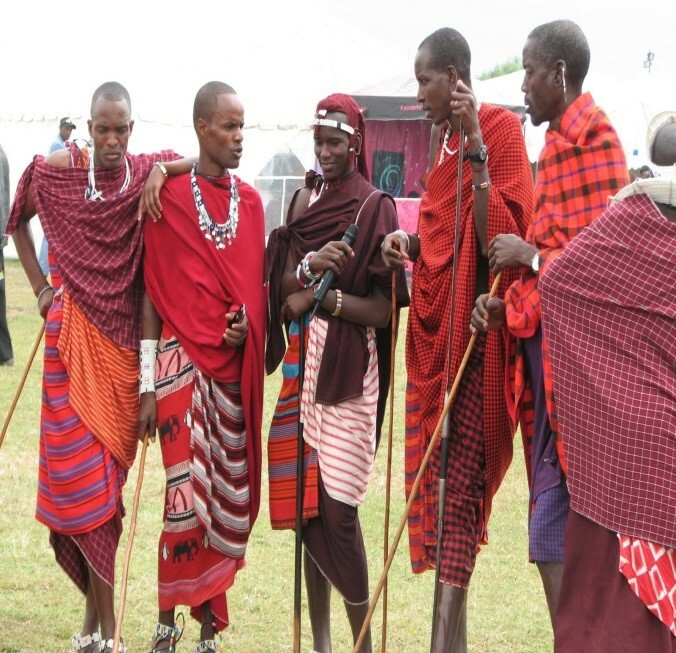 The main garment worn by the Maasai is the shuka, which is a basic piece of fabric that can be worn in a variety of ways, depending on the personal style of the wearer. The fabric is rubbed with color or dye to make it red, becoming a sort of camouflage with the red dirt of that part of Africa. It was initially made out of animal skins, mostly cowhide but cotton is now the main material. However, due to the changing times and popularity of this shuka, lots of people are embracing the shuka and making use of it in order to meet their diverse needs. It can be used as a blanket, picnic mat, curtain, bedcover, scarf and design clothes or cushion covers. It's February and Shanga is celebrating love <3 Today we want to share with you our own special love story - the story of Shanga staff members Livingstone and Upendo. Livingstone mustered the courage to ask Upendo on their first date to a park in Moshi. It wasn't long before he knew she was the woman for him. "After a while of dating .i just felt assured that she was the woman I wanted to spend my life with, I couldn’t let this beauty slip away. "I bought her red flowers and a card explaining how I wanted her forever by my side. At first Upendo thought I was not serious. Then I brought her an engagement ring and she agreed." Livingstone and Upendo married in 2014 and since then have had a healthy able-bodied baby girl. Livingstone says his love for Upendo grows every day. "Her beauty and politeness drives me crazy. I also love her self-respect and the way she cares" he says. The secret of success behind every flourishing business is the people. With over 70 staff members, Shanga has always invested heavily in people and believes in giving people who are disadvantaged an opportunity to prove to themselves and to others, what they can achieve. Whilst our priority is to employ people with disabilities, and we are very proud to have nearly 50 disabled staff working with us, we have also partnered with a local education centre to give internship and employment opportunities to students from disadvantaged backgrounds. Kituo Cha Elimu Meserani (Meserani Education Centre or KCEM) is a fantastic organization on the outskirts of Arusha which provides free education and training to disadvantaged people. Many of the people who attend the centre come from extreme poverty and have not had the chance to go to school, learn important skills or find employment. The Centre offers free academic and vocational courses to give people skills which will help them in everyday life. As well as providing courses in English, Computers, Tailoring and Kiswahili, the Centre has an active Work Experience Programme which helps graduating students make the next step into full-time employment. Since 2014, Shanga has partnered with KCEM to offer work experience placements to 10 students and counting. Everyone who has won a place at Shanga has completed courses in English and Computers and has had a keen desire to learn, work hard and achieve. The students spend time in key departments at Shanga, learning new skills from tour guiding, shop sales, stores assistance and even beading and metal work! So far, five former KCEM students have been offered full time positions at Shanga and have been a credit to the Centre as well as an incredible asset to Shanga. Dotto, a 24 year old from Mwanza, travelled all the way to Arusha to access the free education offered by KCEM to give him a new start in life after finishing his schooling in Form 4 (O levels) and struggling to find work. His initial placement in the Guiding department with Shanga wasn’t a good fit, but his organization skills and hard working attitude made him the ideal candidate for a Stores position. Within months he was promoted to Stores Manager and continues to run the complex stores operations with unwavering attention to detail and energy. “I really enjoy the day to day challenges of working at Shanga and being part of the Shanga family” Says Dotto. The job has not only given him independence for the first time, he is also able to help his parents and support his younger brother and sister with school fees. Martha was the unfortunate victim of a snake bite and travelled more than 1000km to access free medical treatment from Merserani Snake Park Clinic after being unable to afford treatment anywhere else. Whilst in recovery at the clinic, she was encouraged to join the Centre and study. Due to her injuries, Martha finds walking and standing for long periods painful which meant finding work was difficult. She asked for a job at Shanga and was taken on in the Aluminum Department. Her skills in English meant she was able to talk to guests during the tours and was soon trained in delivering full tours for guests and assisting with shop sales. We’re really happy to have Martha as part of the team and it has given confidence to other workshop staff who never believed they could do more than manual work. Shanga is looking forward to a continuing partnership with KCEM and appreciates the valuable work they are doing to support people from disadvantaged backgrounds. The Centre is mostly funded by UK charity LivLife who believe in giving people a hand-up not a hand-out to support sustainable development which fits perfectly with our ethos. To donate to the work of LivLife and KCEM visit their website ww.livlife.org. We’re very happy to introduce our new Workshop Manager, Mr Denis Salamba, who will be taking over from Lucy Hills as she moves on to exciting new ventures in the UK with our very best wishes. Denis joined Shanga earlier in the year to assist in the Accounts department but was soon showing his skills and expertise in other areas and was quickly promoted to Workshop Assistant. His background in quality control and processing at Burka Coffee mean he has great organizational skills and attention to detail. We know our production will be in safe hands with him! Having lived in Arusha all his life and worked at Burka Coffee for many years, Denis has known Shanga for a long time and has great respect for Shanga’s work with people who are disabled. “I have come to learn that it is not what is on the outside that makes someone whole, but what is on the inside. There are so many people at Shanga who have shown me what it means to be a real person – someone with heart and compassion and humility” says Denis. “Something I’m more aware of now is how fragile life is and how anyone can find themselves disabled at any time so we should not judge people for what they look like and instead see what they can do and achieve”. Denis is a great advocate for the workers of Shanga and says everyday he learns something new from the people he works with. Denis has a very supportive family who are proud of his new role at Shanga. His 8 year old son, Corey, who visited Shanga a few weeks ago was very impressed by the Glass department and had a fun time blowing glass bubbles. “I think Shanga is such a good place for families to come and learn” says Denis. With his expertise in coffee, Denis will also be lending a helping hand to the new Von Nagy Café at Mount Meru Game Lodge to make sure they’re serving the best coffee in town. Make sure you come for a cup if you are passing through! Denis will be processing orders for Shanga and is looking forward to meeting all our clients in the near future. If you’d like to get in touch with Denis, contact him on orders@shanga.org. We hope everyone will enjoy working with him as much as we do! Well done to the Blue Team - the glass blowing department - for winning the "Team of the Month Prize". The team worked so hard in fulfilling all the orders for the safari camps who are gearing up for the new season whilst at the same time designing and producing samples for our new glass collection. They are a super cool bunch of guys and this prize is well deserved! Masoud is 20 years old and started working at Shanga last month. He has quickly become part of the team and has already proven he is very capable of producing amazing products. He is part of the Aluminium and Metal department where he is producing beautiful mobiles, wind chimes and many more products that we sell. Masoud took part in the ‘Usa River Rehabilitation and Training Centre’ shoe making course before he came to Shanga. He was born with Dwarfism which was tough for him growing up. He is fully integrated into the Shanga Family where he says he feels safe and happy now. We are still so excited that Amal was photographed wearing a Shanga necklace on the cover of the Hello Magazine, Sky News and other international media. The necklace she bought has always been a favourite of our customers but it seems that it is now a "must have" when people visit our shops. In honour of her we have named it the Amal necklace. To order please send an email to orders@shanga.org. International shipping available!